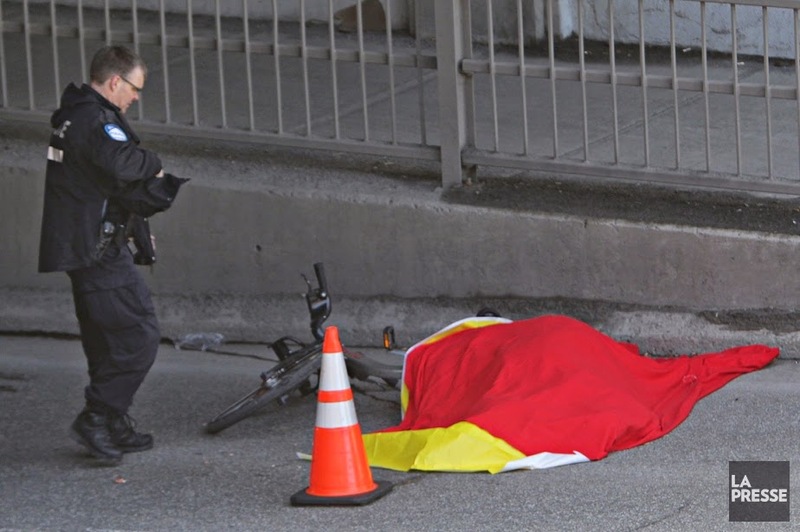 The first bike share fatality in North America occurred early this morning in Montréal, Canada. According to La Presse, the 33 year old woman was struck by a truck. We at The Bike-sharing Blog are extremely saddened by this event. We hope all of our readers remember this woman and particularly if you participate in this year's world-wide Ride of Silence on May 21, 2014. Bike-share's safety record far exceeds that of cycling in general. With close to 15,000,000 bike-share usages since bike-share began in North America, we reflect on this sad event. update: The police report that the woman was wearing a bicycle helmet. Keep in touch with The Bike-sharing World with The Bike-sharing World Map. It is the premiere resource for information on cities with bike-sharing and complement to The Bike-sharing Blog. The easy web address for viewing the map is www.bikesharingworld.com. 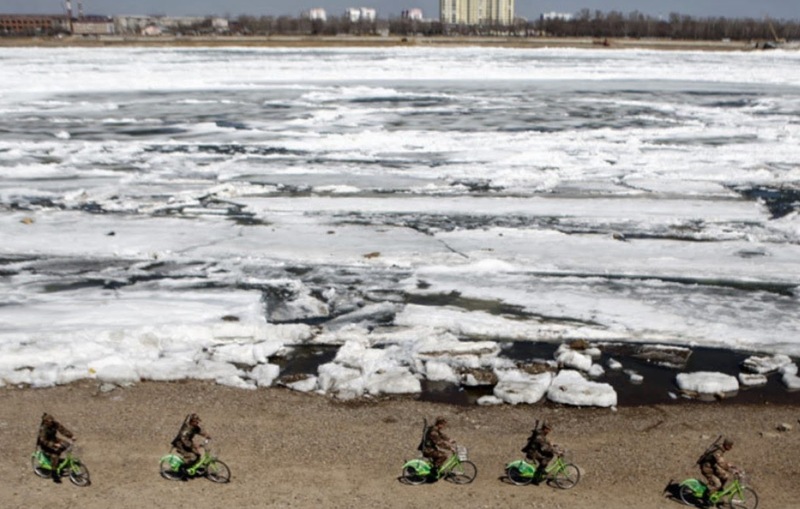 As military tensions build this month along the shared Russian and Ukrainian border, the Chinese Border Patrol along the Heilongjiang River that separates the City of Blagoveshchensk, Russia from the City of Heihe, China, have started using bike-sharing. According to The China Network, the bikes increase the ability of the soldiers to perform their duties on the border as well as move around Heihe without needing heavy vehicles. However, the soldiers must return the bikes within one hour to avoid usage fees! The newspapers in Montréal are reporting that Bruno Rodi, a Canadian entrepreneur, will be the new owner of Public Bike Systems Company - Société de Vélo en Libre-Service. According to TVA Nouvelles, the sale of PBSC to Rodi Designs will be formalized on Friday, April 11, 2014. Rodi Designs' website proclaims it is the "sofa specialist for 35 years", which is an entirely different industry than bike-sharing. However, hopefully this will mean more comfortable seats for the bikes. The bid for the bankrupt PBSC had to be a minimum of $4,000,000 CDN ($3,657,000 USD). We will see if that is a bargain or not. 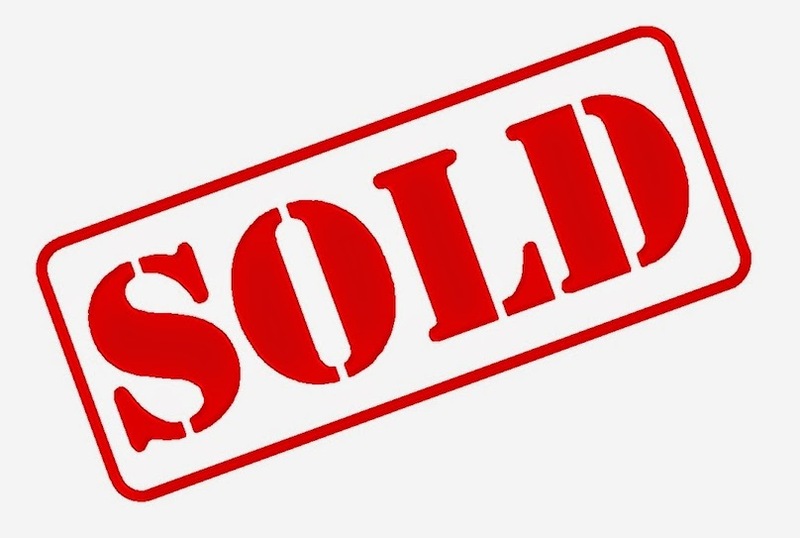 Update April 24, 2014: An investment firm, REQX Ventures, the investment arm of Related Companies, a real estate developer, and Equinox, a fitness and wellbeing company, has put in a larger bid for PBSC than Rodi. The decision is up to the Bankruptcy Judge to see whose credit card the bIXI kiosk will accept! Update II April 24, 2014: After many twist and turns in court the Bankruptcy Judge awards PBSC/Société de Vélos en Libre Service to Rodi Designs. A recap of the day's events can be read in the Montreal Gazette.